Before you attack me, yes I'm well aware of the fact that this isn't a healthy dessert recipe at all. That being said, it's an easy recipe and it's a good thing to make if you are asked to bring a dessert to a party. I love this because it tastes like peanut butter cups and cream cheese - my two personal favorites! 1. Mix the cream cheese and vanilla pudding mix in a bowl with a hand mixer on low speed. 2. Add milk and mix on a high speed for 1 minute until combined. Then add whipped topping a few spoonfuls at a time. 3. Use a food processor to chop peanut butter cups then stir into the mix. 4. 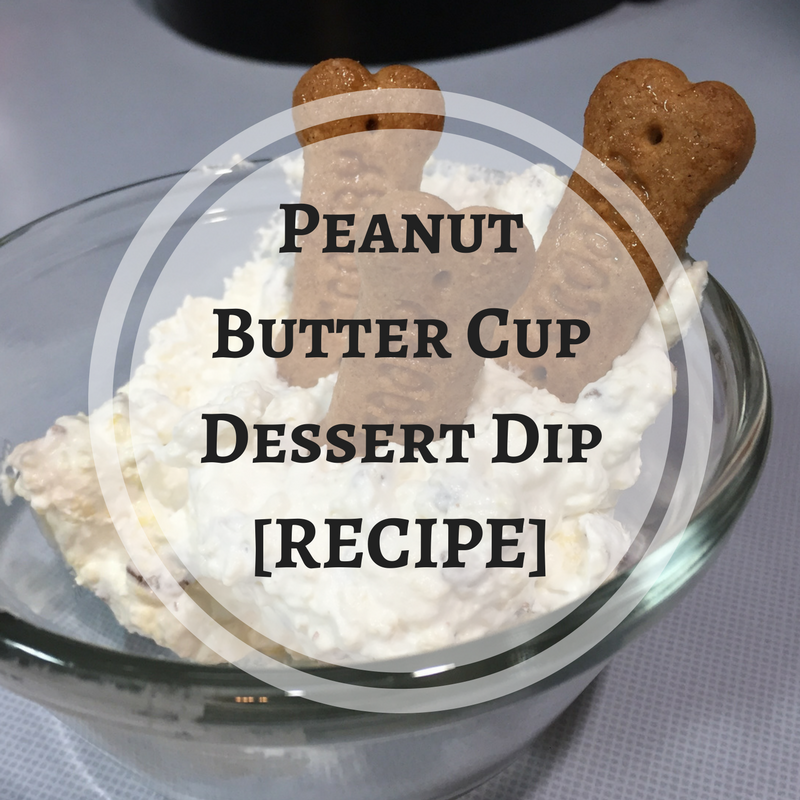 Serve with graham cracker dipping sticks, crackers, or anything else you want! Voila! 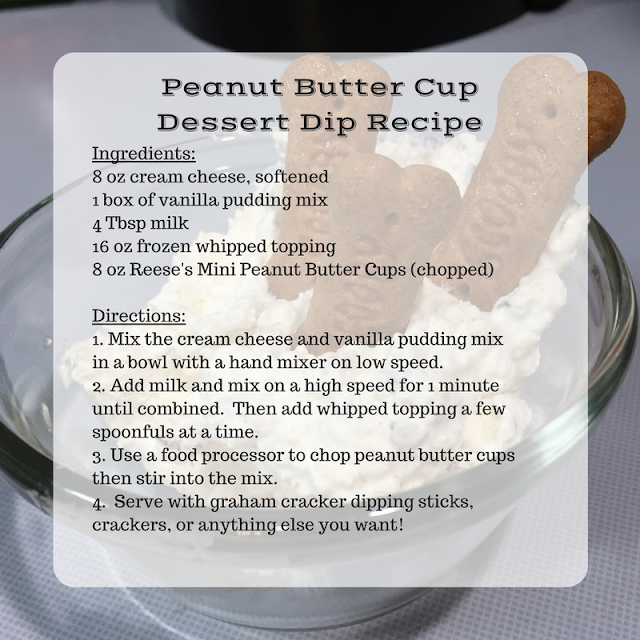 And here is a printable image of the recipe that you can either print out or save as an image in your phone! If you try this, let me know below!